Juice fasting, exercise and relaxation do wonders for both body and mind! If you have a busy job with little free time, or if you are going through a difficult period, it can be hard to stay fit and healthy. A Health Holidays trip takes you away from your stressful lifestyle and gives you the opportunity to recharge your batteries. You will finally get a chance to clear your head and relax, making you feel fitter and more alive! During your Health Holiday, you will cleanse your body, improve your health and generate new energy. On your Health Holiday, you will exercise three times a day. The day begins with a walking workout, followed by a bodyshape class and aqua jogging in the afternoon. On your Health Holiday, you will have four freshly squeezed juices a day. You can also drink as much water and herbal tea as you like. You will also have enough time left over to relax and make the most of your well-deserved holiday. 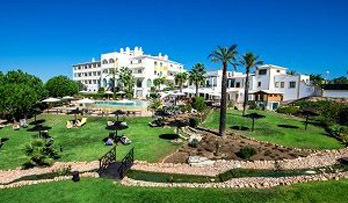 The sunny Algarve in Portugal is home to this special retreat that offers peace and quiet, space and luxury. Our very competitive prices include a return flight and a stay at this four-star hotel with a Day SPA. 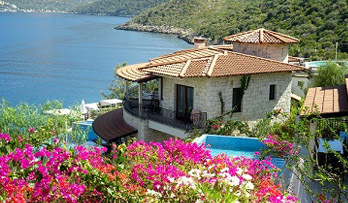 Discover the authentic Turkish town of Kas and bathe in the glorious sea every single day! This accommodation is located in magnificent natural surroundings on the Mediterranean Sea. All mod cons are included. The Canary Island Fuerteventura is one of the sunniest places on earth. 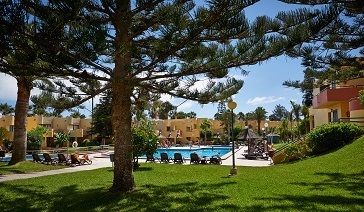 This apartment complex is within walking distance of the cheerful town of Corralejo and the gorgeous beach. Have you been on a Health Holiday before, and are you planning on going again in 2019? Take a new guest with you and receive a € 50,00 discount for each new guest! Weer heeeeerlijk genoten! en bedankt Judith en Hennie voor de waanzinnig goede verzorging !!! Health Holidays is een geweldige formule om in een mooie omgeving tot rust te komen, je lichaam te reinigen en last but not least een paar kilo overgewicht kwijt te raken. De begeleiding is altijd heel prettig en men doet er alles aan om het de klant naar de zin te maken. Je komt als herboren terug! Story’s Catherine Keyl ging een week naar Portugal om te sapvasten! Journalist Jan Dijkgraaf ging op sapkuurvakantie op Fuerteventura..
Wij zijn aangesloten bij de ANVR, SGR en het Calamiteitenfonds, zodat u met een gezond verstand en een gerust hart bij ons kunt boeken. What is included as standard feature in your booking?